I agree. And I love your “Thou Shalts.” I think you should type them up and put them on the fridge. Your Thou Shalts are perfect. And I do love studying and celebrating Passover as well as Easter. They are so connected, and the symbolism is so rich. Thanks for posting about it. This is a great post. 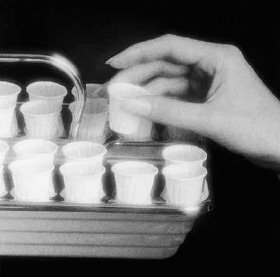 The passover is the sacrament. It patterened for the Isrealistes a future event. 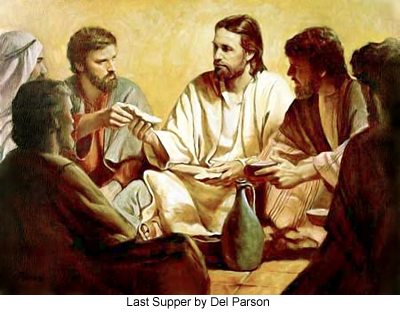 The passover supper. 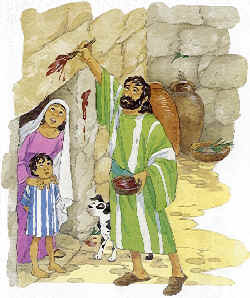 The passover supper patterned the sacrament in his church, and in the restored church. All of it focuses on the atonement, cruxifiction, and ressurrection of the Savior. EVERY covenant we make points to he atonement, crucifixtion, and ressurection. Every commandment we are asked to live focuses on this too. One of the Apostles in General Conference this last time said, that the New and Everlasting covenenant can be summed up in one senttance. (The new and everlasting covenenat also emcompasses the Abrahamic covenant) it is this: God so loved the world, that he gave his only begotten son. That whosoever belive in him, should not perish but have everlasting life. This is the passover. This is every covenant we make. and everything we asked to do. I did not mean to commendeer your comments. Sorry. Its the morning, and my spelling is awful. It was not too long. I love your insights because they’re usually things I think about, but you bring them together and I gain a fuller understanding on the subject. Thou shalt not ask thy mother to do anything while she is eating, for she will ignore you completely. Thou shalt talk to thy mother only if thou art in her presence. Yelling at her from downstairs will also cause her to ignore you completely. Making it to the end of your posts is treat enough, Steph! Christ’s telling Peter that Satan wanted to ‘sift’ him ‘as wheat’ was referrenced in Conference, and taught that Satan mostly wants God’s people to be like everyone else, even if it means miserable and directionless. Thank goodness we’re ‘salt’ instead! Unsifted, a little different, but preserved and preserving. Thou (all five kids) shalt not all pile on your mother every time she decides to sit down. Thanks for your great insights once again. I confess that I sometimes skim the scriptures just like Matt says, but I read every word this time. Some of us just aren’t blessed with the brain capacity that you are! I think one that’s a little more challenging to floow sometimes but is also a passover commandment is temple attendance. I was struck time and again about how the apostles promised the blessings of protection if we would attend the temple. I really need to do that. I don’t want to look back several years down the road and suddenly realize why I should have gone more. Especially with a temple only twenty minutes away. Great post! I think that sometimes we do some of these passover commandments out of habit, and forget the blessing that have been promised if we obey. I easily made it to the end of the post, but the sad thing is I never remember to read the Ensign. I ought to, because if it’s anything like this, I think I would enjoy it.